News from LMCU: Save the Dates! 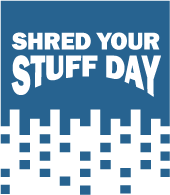 Bring your sensitive documents (like old tax returns and bank statements) to LMCU’s annual Shred Your Stuff Day for secure disposal. Stay tuned to next month’s LMCU News for further details.